For this card I glued four strips of green decorative paper to a white layer of cardstock. I die cut a red metallic button and tied it onto this layer using some fine white fiber finished it off would a double knot to keep everything in place. 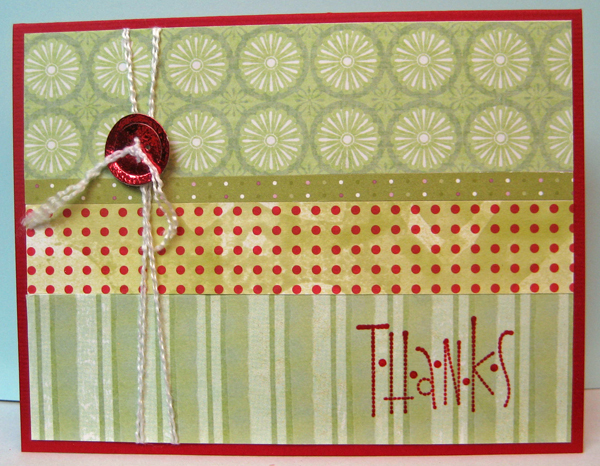 I glued this large layer to the front of a red card and stamped and clear embossed my Thanks greeting on the lower right hand side.